There is lot of great online scholarship about comics, so it’s fitting that there is now an award to recognise some of that work that’s being done. 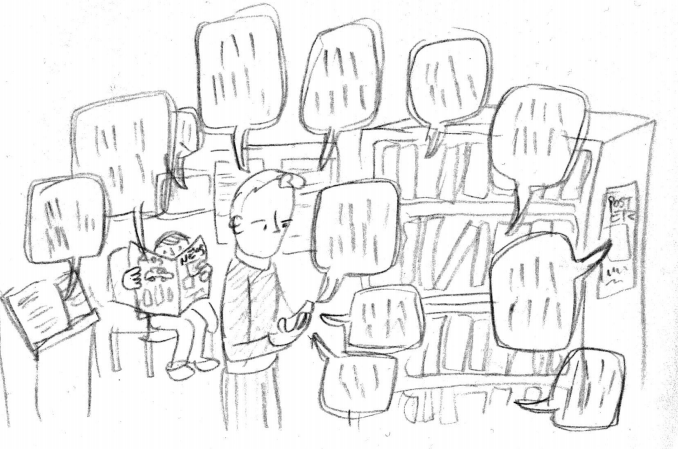 A. David Lewis has done the hard lifting of getting the Best Online Comics Studies Scholarship award off the ground for its inaugural year, and starting a conversation around the BOCSS hashtag. 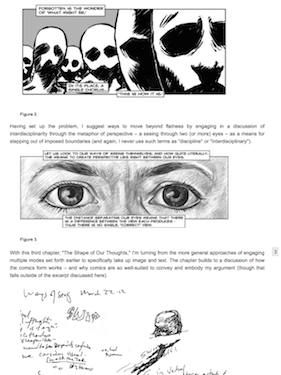 I was thrilled and humbled to find out that the special issue of Digital Humanities Quarterly about “Comics as Scholarship” that I had contributed an article to had made the short list of nominees for the award. The other articles on the BOCSS shortlist showcase the breadth and depth of comics scholarship in 2016. Two of the articles look at particular ways that comics make meaning, with Barbara Postema’s “Photography in Wordless Comics” providing a fascinating account of the narrational qualities of comics and photos, while Jorge Santos shows how the hybrid and open-ended nature of comics are well-suited to depict the intersection of cultures in “Ambulatory Identities: Montijo’s Revision of Chicano/a Hybridity in Pablo’s Inferno.” Taking more of a cultural studies approach, Robert Jones, Jr., examines racism and superheroism in “Humanity Not Included: DC’s Cyborg and the Mechanization of the Black Body,” the kind of criticism we need as comic book superheroes play an increasing role in global popular culture. All three articles are well worth a read! The awards were announced last week at the “Comics Scholarship at Criticism” panel at The Massachusetts Independent Comics Expo (MICE). I was far away in Adelaide, but fortunately the panel, featuring A. Dave Lewis, Hillary Chute, Karen Green and Forrest Helvie, has already been uploaded on YouTube. The awards announcement is appropriately low-key, but the panel is worth listening to if you’re interested in hearing folks discuss the state of comics scholarship. 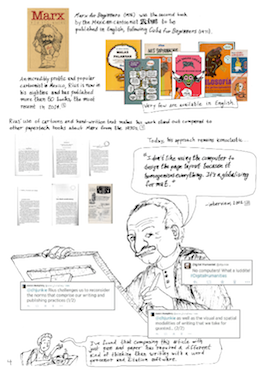 I was proud to learn that the Comics as Scholarship issue had won, especially in field full of terrific work. It’s a testament to the hard work by Roger, Anastasia and the other contributors. I know several of the authors have called this project one of the most challenging pieces of scholarship they’ve worked on, but I think it’s also been one of the most rewarding. 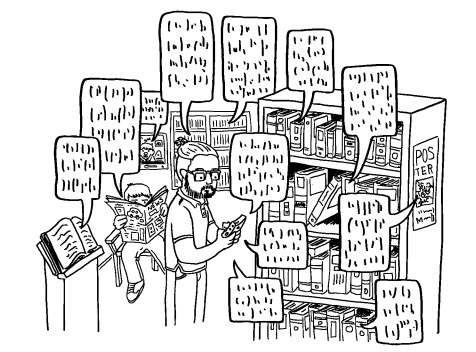 There are other exciting upcoming projects devoted to comics as scholarship, but I hope this issue of Digital Humanities Quarterly will serve as something of a landmark in the field. I’m definitely looking forward to seeing what next year’s crop of BOCSS nominees bring to the table. 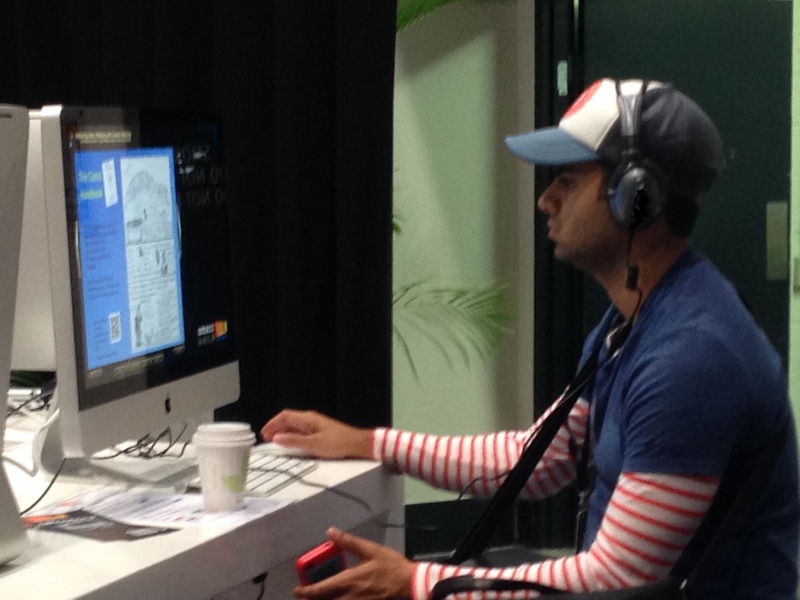 Exciting times for Comics Studies! Can The Avalanches flourish in a pop music world remade in their own image? Sampling pioneers The Avalanches are returning with a new record 16 years after their only major release. Their first album, 2000’s Since I Left You, has been dubbed a modern classic. A joyous, witty and funky melange of more than 3,500 samples, taken from vinyl albums bought in op shops, it sold more than 600,000 copies and influenced a generation of musicians. The Avalanche’s brand of sample-saturated electronic music was unique in 2000. And their organization as enigmatic, amorphous collective challenged conventional ideas of what a band could be. But the Melbourne-based band are reemerging to a world of pop music remade in their own image. Sixteen years on from Since I Left You, the music industry has transformed. It brims with samples, superproducers and music that is largely produced and consumed on computers. The cut-up aesthetic that The Avalanches used so brilliantly in songs like the unforgettable Frontier Psychiatrist can be seen all over the Internet, not just in music, but also in the form of memes and GIFs that re-purpose and re-contextualise older media in evocative or amusing ways. 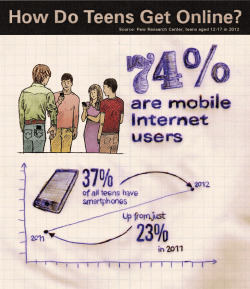 Sampling existing material has become one of the most common ways that people communicate online. 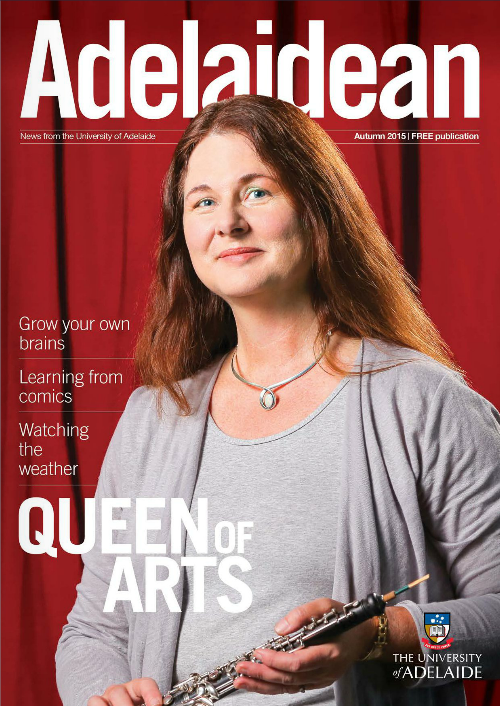 The new issue of the University of Adelaide’s magazine has a spotlight on my research! You can read the article online. The writer did a great job of summarising what turned into a long and rambling interview (conducted over the phone while my new son slept in my arms!) with me into something coherent and enjoyable to read. I also drew an illustration for the article, which the magazine sent over a camera crew to film me drawing! 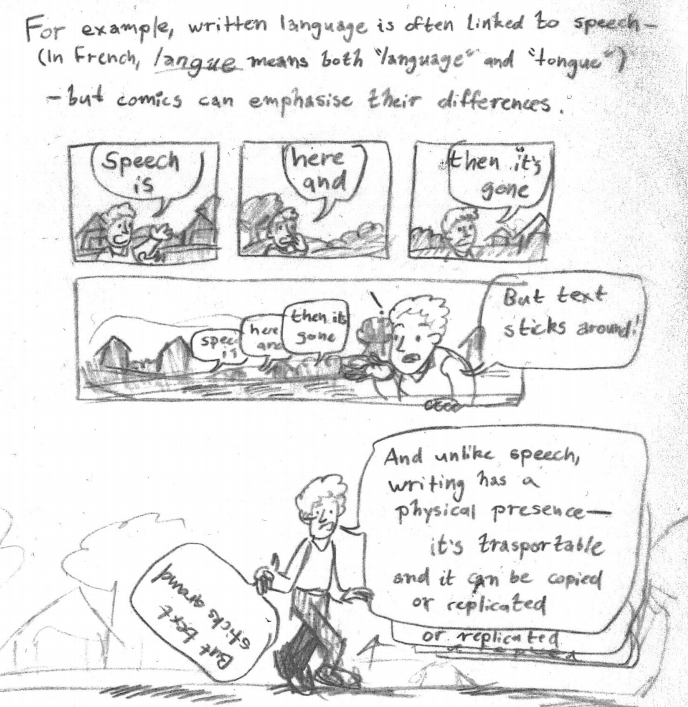 I’d never drawn on camera before, so it was a bit nerve-wracking, but the end result was a nice suite of multimodal texts: the article, my drawing, and a short video. Taken together, they give a pretty good glimpse into where I’m at in this stage of my thesis. The video also shows the action-packed process of drawing with a pen in a beige cubical, backed by some pleasant ukulele music and whistling. I agonised over the drawing and tried a couple of new things in terms of the colouring. If I hadn’t been being filmed, I probably would have gone back and forth and messed with it a lot more. That’s the power of video surveillance, I guess! 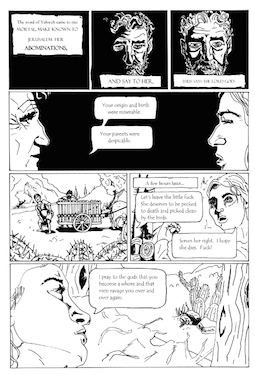 I initially sketched a layout for a full page comic that would serve as kind of an outline for my thesis, but the Adelaidean editors asked me to condense all that down to a single panel or two. My roughly sketched draft of that full-page is below the cut. You might find it interesting if you’re curious about my creative process or the general thrust of my thesis argument. The text of the Adelaidean profile also follows. The entire issue is particularly interesting because all of the articles are composed in the form of comics. Each of the authors adopted a slightly different visual approach in order to suit their topics. 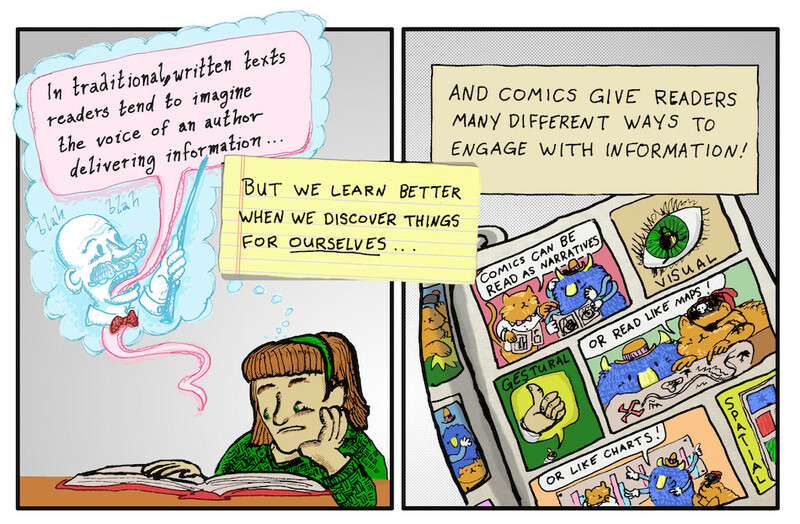 My article examines the educational comics in the long-running “Introducing” and “For Beginners” series, books that I’ve seen the offices of almost every academic and postgraduate student I know, but which have never been given a proper critical appraisal. In this article/comic, I examine the history behind these books, and look closely at how they combine visual and verbal modalities in unique ways. As the books I chose to examine are devoted to Derrida and Foucault, the article also delves into a critique of structuralism and post-structuralism. 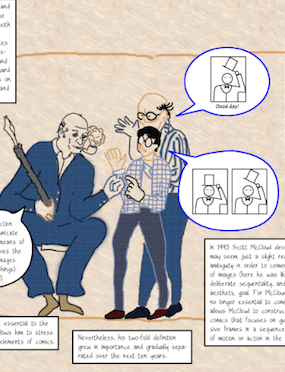 “Multimodal Authoring and Authority in Educational Comics: Introducing Derrida and Foucault for Beginners” is my second comics-style journal article this year. I think this is a fascinating area for further study, and hope to publish more in this style in the future. The “Comics and Scholarship” issue of DHQ is an encouraging step forward for a promising direction for academic writing and publishing. You can read the article/comic online at the DHQ website or download a PDF from the University of Adelaide. I hope you enjoy it! The article abstract is behind the cut. 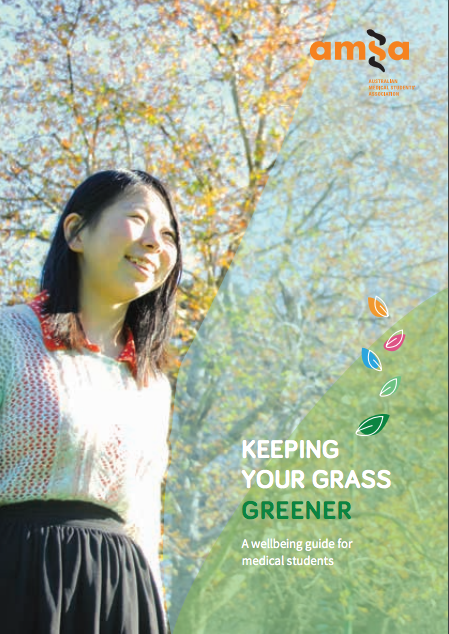 When I began work on the Comic Book Handbook for medical interns at Mackay Base Hospital, part of my research was reviewing the existing resources for junior doctors, and the previous version of Keeping Your Grass Greener from 2011 was one of the highlights. It featured a lot of short essays by doctors and other experts which offered advice on all sorts of topics related to wellbeing. 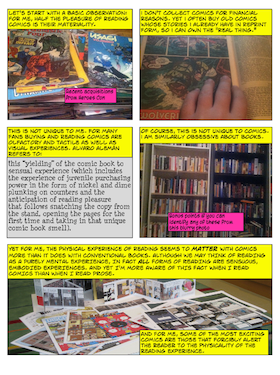 With the Comic Book Handbook, I tried to use the visual affordances of comics to take a different approach, which was to present information to readers in a way that was less like an essay, and more like a puzzle or a map, something that they would feel invited to explore, play around with and put together in their own way. 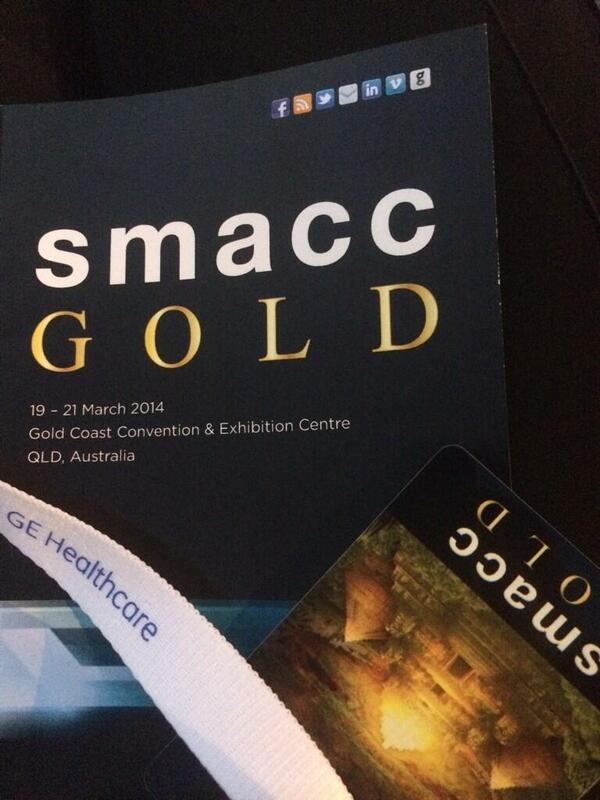 was an odd feeling to be asked to contribute to the new 2014 edition! Ultimately I was thrilled though, and I think the comics they chosen to reprint from the Mackay handbook really fit the theme and mission of the comic. 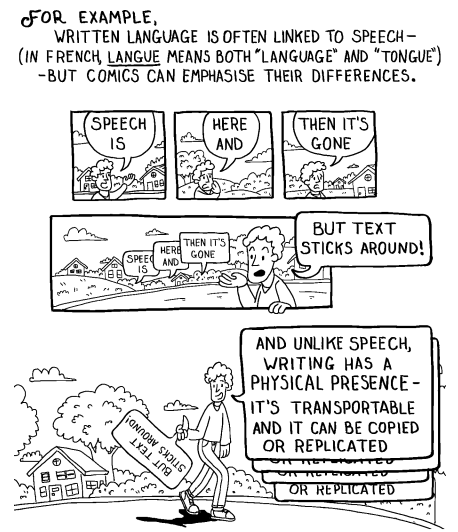 It’s fantastic to see these comics going out to a wider audience, and hopefully some medical students will find them helpful, as well as a breath of fresh air in a book full of great, but very text-heavy, information. 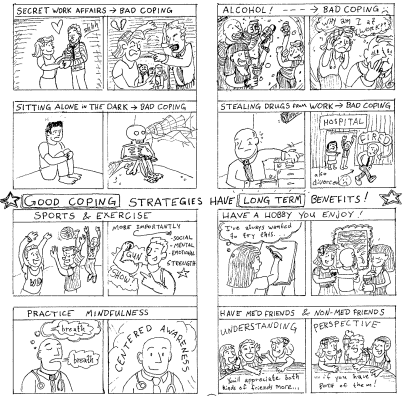 A PDF of the 2014 version of Keeping Your Grass Greener can be found on the AMSA website, and the Comic Book Handbook for interns that my comics originally appeared in can be found on this very website. 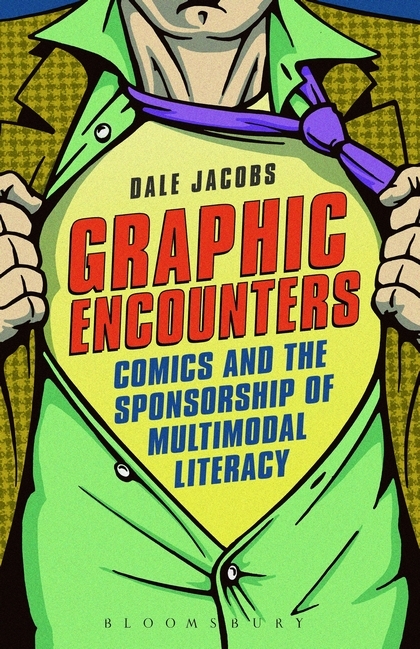 I reviewed Dale Jacobs’ book Graphic Encounters: Comics and the Sponsorship of Multimodal Literacy for The Comics Grid last month. The review is Open Access, is available in both PDF and full-text form, and includes a far greater works cited list than a book review really should. The cover of the book is amusing to me, as it calls to mind both Clark Kent’s quick-change transformation to Superman, and, perhaps unintentionally, a trenchcoat ‘flasher’ — a very ‘graphic’ encounter indeed! Early on in the book, Jacobs plays with the notion that comics are, as Wertham long-ago suggested, a ‘seductive’ medium, and that audiences are changed irrevocably by these ‘graphic encounters’ — but it’s not just comics that are seductive in this way, but literacy in general. Just riffing off of the cover of the book, I think applying the trenchcoat flasher metaphor to the idea of literacy sponsorship is … intriguing, if more than a little disturbing! Jacobs book doesn’t proceed in that direction, though. I was very familiar with the idea of multimodality before picking up Graphic Encounters, but knew very little about Literacy Sponsorship. Fortunatly, it’s the second aspect which Jacobs explores the most in depth, so I got a lot out of this volume. 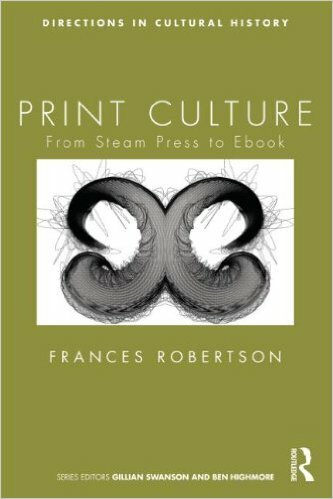 This was the second academic book review I’ve done, although it is the first to be published. It was also my first experience with Open Access Publication. 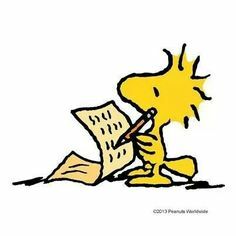 I’m becoming more and more of a supporter of Open Access scholarship, but that’s probably the topic for another blog post. The bottom line is that only a small group of academics will have access to that other book review when it is published, but I was able to share my review of Graphic Encounters over social media with friends, family, colleagues, and anyone who is interested. So if you are interested — go check it out! 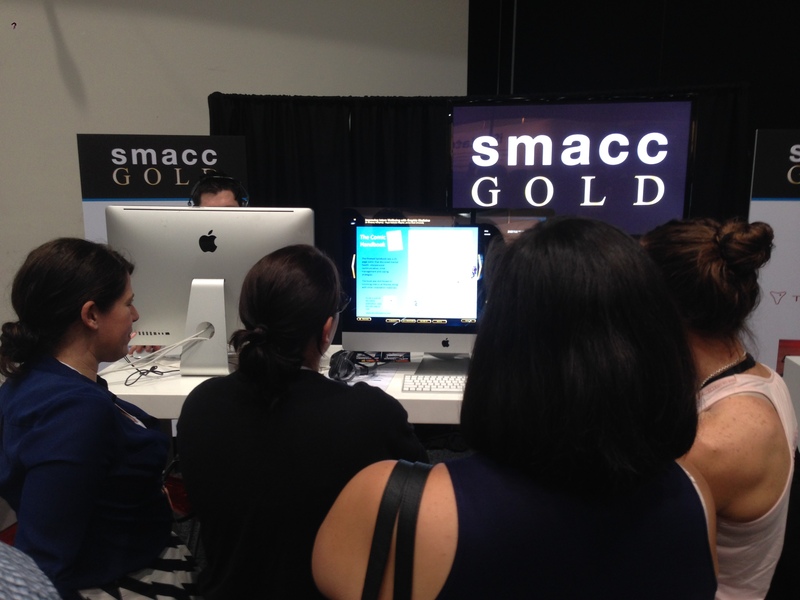 This past March, I attended the 2014 Social Media and Critical Care conference held on Queensland’s Gold Coast (aka SMACC GOLD) to present some of my research on using Graphic Medicine to improve the wellbeing of junior doctors. It was an interesting conference which covered a lot of ground — from surgical techniques, to research ethics, to social media strategies, to everything in between. We got some nice, encouraging comments about our work from strangers with this system, and a pretty good, and a pretty good star ranking. I missed being able to talk to people in person though — at traditional poster sessions, you can stand near your poster and have people ask questions or discuss your research with you. The digital set-up makes it a little bit more anonymous. Overall, though, it was a great experience. I’ve become a bit addicted to using Prezi, a different slideware system which uses a scrollable, zoomable canvas instead of individual slides, so it was a unique challenge going back to PowerPoint. 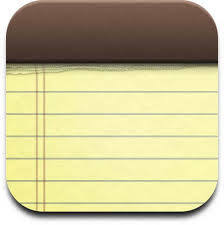 I think changing formats like that helps you to stretch communication muscles, which is always a good thing!